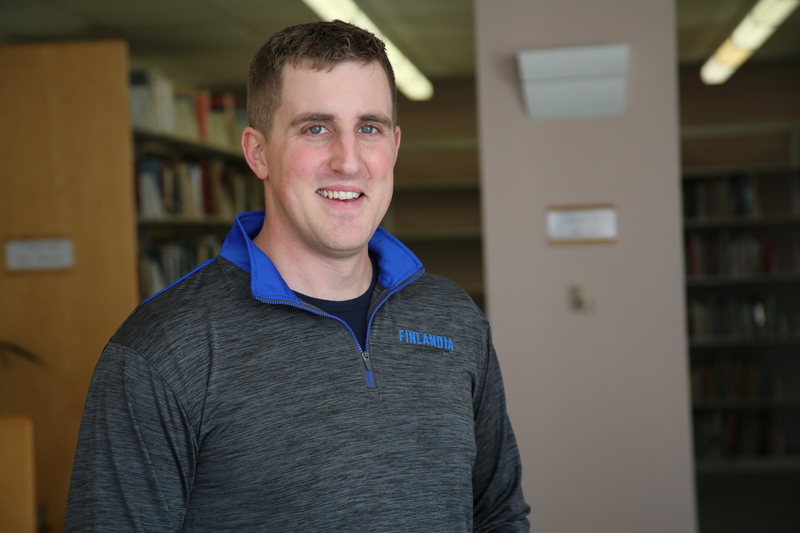 Finlandia University is pleased to announce that James Brey is transitioning to the role of Financial Aid Counselor in the Office of Financial Aid. Brey, who joined the Finlandia staff last fall as an Enrollment Officer with Admissions, brings a wealth of experience to the position. He earned his Bachelor’s in Business Management from FinnU in 2012 and has worked as a retention representative for Prudential, director of sales and marketing and admissions at Gardenview Assisted Living and Memory Care, branch manager in training for Enterprise Rent-A-Car and at Fed Ex. Brey will be processing loans for parents and students and meeting with them during tours to discuss their financial aid and loan options. For Brey, working in financial aid is personal.